Bitcoin (BTC) price has been facing stiff resistance from bears in creating a sustainable rally above the $7000 mark over the last week. BTC price crossed the $7500 level during Wednesday trading before plunging back to $6600 on Thursday; the coin trades around $6700 today and the market pundits envisage BTC price to make further price corrections. Though some analysts are correlating the bitcoin price movement to the U.S. stock markets, there is a huge difference between market fundamentals of both markets. U.S. stock markets have been fumbling on trade war between the United States and China and on increasing interest rates – which could have a long-standing impact on multinational companies. Bitcoin and the rest of digital currencies are purely falling on declining trader’s confidence in crypto markets, due to regulators crackdown and analysts concerns over the fair value. Along with rebuffing the link between crypto and stock markets, London-based Capital Economics also raised questions over the underlying value of bitcoin. The firm calls bitcoin ‘worthless’ and expects BTC price to fall significantly from its current level. It’s undoubtedly true that bitcoin doesn’t have any fair value to support its price on exchanges; the cost of mining each coin stands below $1000 in some countries – which depends mainly on electricity prices. Bitcoin gained substantial momentum last year only on speculations and the massive growth in trading volume from criminal activities. Research reports revealed that criminal activities accounted for half of the bitcoin’s trading volume during the final quarter of last year. 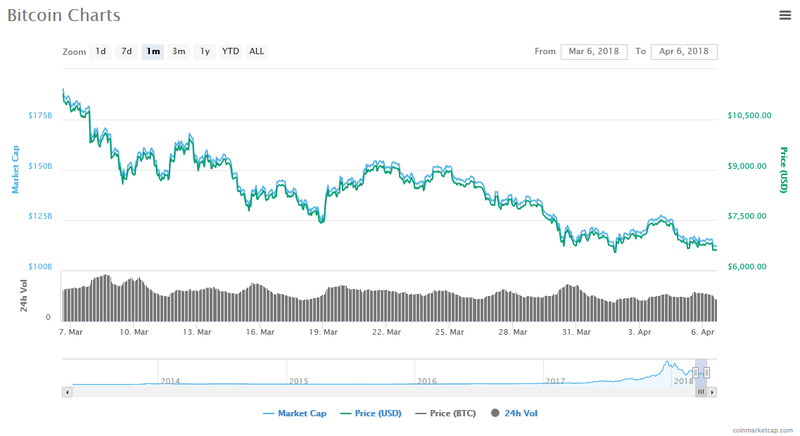 BTC price plunged more than 45% in the first quarter after analysts started raising questions on its underlying value and anonymity feature. Next articleGenerosity at Its Best, More KDC and BTH to Be Given! Should I close high-balance card if offered a lower APR?